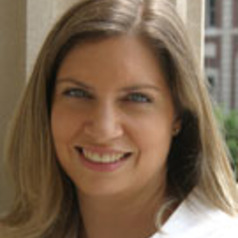 Rebecca Jacobsen is an associate professor of teacher education and the Associate Director of the Education Policy Center. Her background is in politics and education where she has focused on public opinion and its impact on education policy. She has also written about the politics of charter schools and the achievement gap. Her current work is on accountability policies.